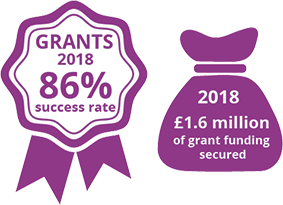 Derbyshire Business Support Grant Scheme (DBSGS) – funding towards capital or revenue projects with the aim of supporting businesses to, expand, evolve or relocate, helping to create increased investment, growth and job creation. Capital and revenue funding subject to State aid rules to include capital expenditure, relocation, fit out costs, R&D, consultancy costs, training, working capital, rental, staffing costs (exclusions subject to officer and panel discretion). Fund to commence 18th September to run until 31st March 2020.